The Sun is always very harsh in the summer months in the Indian subcontinent. The part of the earth coming in the tropical region with all its diverse life forms including human beings is parched in the summer months. The water bodies dry bringing untold miseries to the thirsty mouths. But life does not come to an end. People still continue with their daily chores, birds still fly and the flora and the fauna discharge their respective duties despite the thirst and the sweat. Indian folklore is full of stories about samaritans and good souls who always were concerned about the well-being of their fellow human beings. No sooner summer sets in they come forward to serve the heat-ravaged pedestrians and travellers with water and thinned rice gruel. In India, this practice continues to be followed. Moreover, in every Indian household, it is customary to offer a guest clean drinking water to a guest no sooner he arrives. It is very difficult to pinpoint a specific period of time when this custom started in India. However, the fact remains that this tradition speaks how Indians practised the art of giving. A guest is treated as God’s incarnation and the host does his best to make the guest comfortable, sometimes even starving themselves. The host feels grateful to the guest for considering to visit them. To this day, we see people opening temporary kiosks to serve safe drinking water and thin rice gruel drink for the thirsty and the poor, on the streets. 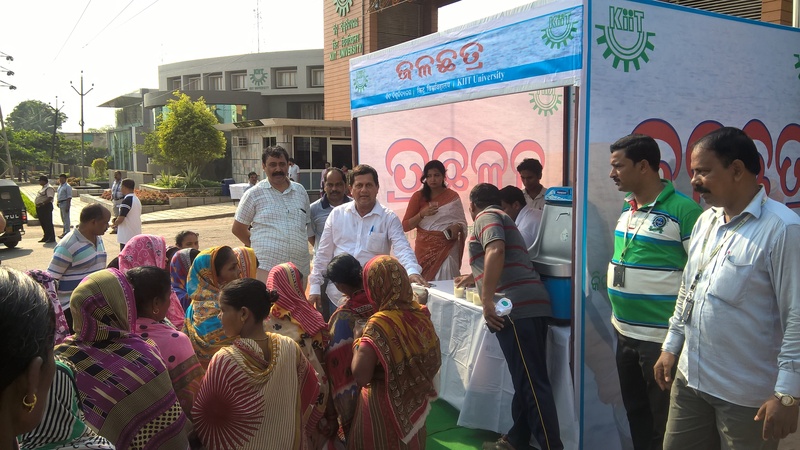 As the temperatures in the summer months continue to be rising beyond the normal by several degrees, the government organizations have pitched in providing safe drinking water to travellers by putting up such kiosks on the streets. Indian households put large vases filled with water for the thirsty birds and street dogs during summer months and derive great bliss in doing so. Thus, we find that it is in our culture to be practising the art of giving for community welfare and serving the humanity.